Harley comes to life in this DC Comics Cover Girls Statue by Eisner Award-nominated artist, Joelle Jones! This amazing statue features a lively Harley in her classic outfit, armed with her signature oversized cork revolver by her side. 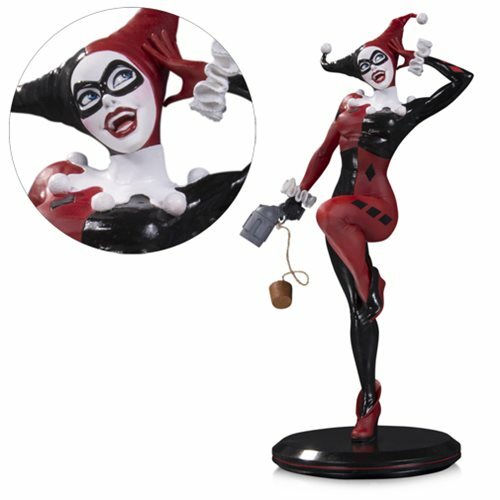 This gorgeous DC Comics Cover Girls Harley Quinn by Joelle Jones Statue measures approximately 10-inches tall and is a limited edition of 5,000 pieces.